GREEN BAY, WISCONSIN — Green Bay Packers receiver Jordy Nelson has been named an Ambassador of Adoptive Families at a Jockey Being Family event. Jockey International is the Kenosha, Wisconsin-based retailer of underwear, sleepwear & workout clothing for women & men. Also at the event was Nelson’s former teammate Donald Driver. Driver says Nelson is proof that a family is not just bloodlines. Wisconsin Right to Life salutes Jordy and his family and Jockey International! Watch the Nelson’s share their adoption story with Jockey Being Family here. Watch the TV coverage on WKOW here. 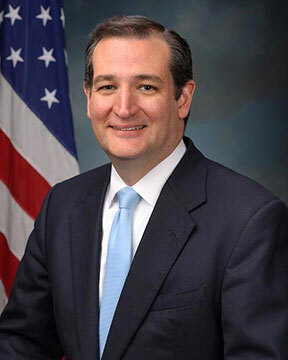 Two recent polls put Texas Senator Ted Cruz ahead of Donald Trump in Wisconsin (by 5 and 10 points, respectively) while Democratic Socialist Sen. Bernie Sanders is narrowly ahead of Hillary Clinton in a new Marquette University Law School poll. While a Sanders win in the Badger State next week by itself would not seem to change the delegate dynamics on the Democratic side, should Trump lose decisively, it would increase the odds he would not have the 1,237 delegates necessary to win the Republican presidential nomination and thus a contested convention. Harry Enten, writing for fivethirtyeight.com carefully tracked and probed the results of the Basswood Research poll, which put Cruz’s lead at 5 percentage points, and the poll conducted by Marquette University Law School, which had Cruz enjoying a 10 percentage point cushion. “Wisconsin has 42 delegates — 18 go to the statewide winner and three go to the winner of each of the state’s eight congressional districts,” Enten explained. In other words, if Cruz wins the state, he has a base of 18 delegates plus three from each CD he wins. The Marquette poll has a regional breakdown of its results. If Trump were to lose the 2nd congressional district to Kasich, in addition to the five districts to Cruz, that would leave only the six delegates up for grabs in the 3rd and 7th districts — and the trends there, in the state’s north and west, aren’t good for Trump. Meanwhile that same Marquette University Law School poll showed Sanders upping his modest lead over Clinton from one percentage point (44% to 43%) to four percentage points )49% to 45%). This comes on the heels of Sanders’ sweep in caucuses in Washington, Alaska, and Hawaii and an uptick in his national support among Democrats and Democratic-leaners. Editor’s note. In last Wednesday’s oral arguments before the Supreme Court in Whole Woman’s Health v. Hellerstedt, litigants made several key contentions they say demonstrate that HB 2 resulted in an “undue burden” on women seeking abortions in Texas. At issue in the challenge to portions of HB 2 are two requirements: that abortionists have admitting privileges at a nearby hospital and that abortion clinics meet the standards of an ambulatory surgical center (ASC). Yesterday, Dr. O’Bannon did a masterful view addressing arguments made by the Center for Reproductive Rights’ Stephanie Toti, lead counsel for the plaintiffs, and U.S. Solicitor General Donald Verrilli. In Part Two, Dr. O’Bannon picks up where he left off, debunking the notion that after passage of HB 2, clinics no longer had the “capacity” to meet the demand for abortion. Yesterday, we looked at arguments and evidence presented to the court by Ms. Toti and Solicitor General Verrilli that asserted that the 2013 Texas law was responsible for the closing of about twenty clinics, leaving the remaining clinics with greater demand than they could possibly handle. But, as we explained, the data on the timing, the number, and the reasons behind the clinics closings was nowhere near as clear cut as the abortion industry’s defenders wanted the High Court to believe. And the discussion of the capacity of legally compliant clinics to handle the caseloads hinged on an assumption that data in Texas and national data has proven false – that demand for abortion remains constant. 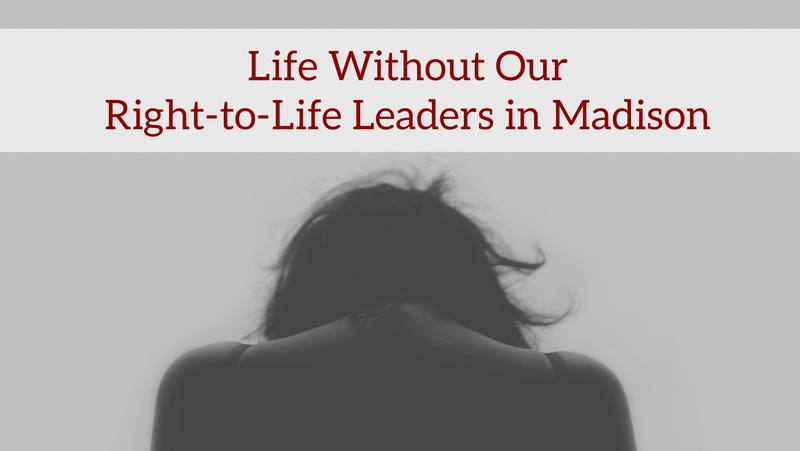 Abortion clinics close for many reasons – scandal, poor management, failure to meet basic safety standards, etc. But one of the biggest reasons is simply that there isn’t enough business to keep them all in operation and profitable. Toti, lead counsel for the plaintiffs in Whole Woman’s Health v. Hellerstedt, argued the new law was responsible for the closing of more than 20 clinics. Under questioning from the justices, she admitted that some of these clinics closed prior to the enforcement of the law. And she agreed with Justice Samuel Alito that at least one of the clinics on her list had closed for other reasons. But this is only part of the story. There were supposed to be 41 clinics in Texas before the law was passed, according to Toti. Yet in a 2006 factsheet, the Guttmacher Institute wrote there had been 65 “abortion providers” as recently as 2000. Thus, the inescapable conclusion is that the number of clinics was already in steep decline before HB2 was ever passed. 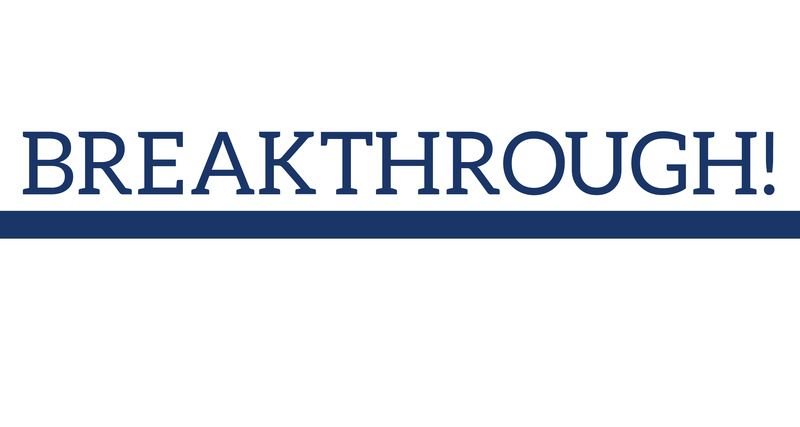 Moreover Guttmacher, a pro-abortion think tank, has demonstrated a significant long-term national downward trend in the number of abortionists. By 2011, after peaking at 2,918 in its 1982 count, the number of “providers” has dropped by more than 40%, to just 1,720. The two developments obviously are related. To some degree, the closing of clinics in Texas merely mirrors the larger trend of closing abortion clinics nationwide. A recent study from Bloomberg Businessweek shows the national decline continuing. The story said that nationwide 162 clinics had shut their doors or stopped providing abortions since 2011. Even though 21 new clinics opened in that time frame, closures still vastly outpaced openings. The question is why. Bloomberg found that these clinics have closed for a variety of reasons. Some they do attribute to the passage of new laws and regulations. Others, however, closed because of what Bloomberg termed “unfit providers.” The classic example here would be Kermit Gosnell, whose butchery prompted much of the legislation now being passed and litigated. Bloomberg admits that several closed because there was “no doctor available.” The abortion industry has scrambled to recruit and train new abortionists for years, but has not had success in getting these out in the field. This is one important reason behind the push for web-cam abortion– which require a minimal number of trained staff–and intense efforts to allow nurses, midwives, and physician assistants to perform abortion. What else? “Business decisions” also played a role in some closures, which could be anything from financial mismanagement to a determination that there was simply not enough demand to hire in an abortionist or keep a clinic open. What Toti and the abortion industry did not want to admit to the Supreme Court is that one of the basic reasons behind the closure of clinics is that there is reduced demand for their services. And, as NRL News Today has shown in many stories, there is evidence of that diminishing demand in Texas and nationally. The reduction in the number of abortions, both yearly and cumulatively, could not help but affect clinic business. There is no way that an industry could lose more than a third of its “customers “and still keep all its clinics open, particularly those dependent on abortion. To repeat, this indisputable fact typically gets overlooked. In a business with numbers of aging abortionists working out of older, smaller, more dilapidated buildings or storefronts that need extensive repair and remodeling, the passage of the law, the rolling out of its various provisions, simply presented a prime opportunity for these abortionists to retire and the clinic to shut down. In one sense, that the law passed when it did and went into effect when it did gave clinics a strategic time and target date for already inevitable closures made it possible for the abortion industry and its academic abettors to blame the law. But as we have seen, looked at more broadly, many factors were responsible and these closings were simply the result of several trends coming to a head. Abortion is, after all, a dying business. May it please the Court…. What we have seen thus far is that there is no cut-and-dried evidence to support the assertion that HB 2 caused clinics to close in Texas. Clinics closed before and after the law passed and was put in force, and for many different reasons. Declining numbers are an indication that demand for abortion continues to drop. That some of these clinics were old and that there were safety and sanitation issues was reason enough both for clinics to close and for legislators to be concerned . The abortion industry has been transforming itself for years, some of it because of pro-life legislation, but also in response to changing business conditions. They are hardly passive actors in this latest trend, closing smaller less profitable clinics in smaller cities and more remote areas and pointing patients towards large, modern, up to code mega-clinics in the big cities. These huge mega-clinics are more than capable of handling the caseloads. What the abortion industry does not want to see is anything that draws attention to its failings; that shows abortion to be the dangerous, bloody reality that it is; or that in any way inhibits their ability to promote and profit from abortion on demand. They will try to cow the courts and the media with charts and numbers and statistics, but the reality remains. Abortion was never a solution to women’s problems, and fewer women are buying it anymore. In Part Three, we will look further at the evidence and arguments the Supreme Court heard in Whole Woman’s Health v Hellerstedt. We’ll look at claims that the law has changed the timing and type of abortions women are having (that women are having later abortions) and what might be the consequences of long travel times. The number Grossman cites, which the Supreme Court seems to discuss, comes from the Texas state health department. That number, 68,298 for 2012, is the one reported to the U.S. Centers for Disease Control (CDC), which does its own abortion surveillance. Those numbers are generally smaller, but track trends from Guttmacher fairly closely. The state health department for Texas showed 63,849 abortions for 2013, a further decline reflecting similar declines in other states. In reading through the transcript of the oral arguments made before the Supreme Court in last Wednesday’s case of Whole Woman’s Health v. Hellerstedt, there are several pivotal contentions challengers made in seeking to overturn HB 2, the 2013 omnibus Texas pro-life law. We will consider one today, the second on Wednesday, with the completion scheduled for Thursday. # 1. Is the new law is responsible for the closure of many of the state’s abortion clinics, and does the closing of these clinics represents an “undue burden” on a woman seeking to abort her child? As NRL News Today readers know, the plaintiffs challenged two requirements: that abortionists have admitting privileges at a nearby hospital and that abortion clinics meet the standards of an ambulatory surgical center (ASC). Whether and how much these provisions were responsible for clinic closures, and whether these closures resulted in an “undue burden” on women seeking abortions, quickly became the focus of discussion on the court. Just minutes into the oral arguments, the Center for Reproductive Rights’ Stephanie Toti, lead counsel for the plaintiffs, made mention of “new” evidence of clinic closures directly tied to the enforcement of the law’s requirement that abortionists have admitting privileges to local hospitals. Justice Samuel Alito noted “there is very little specific evidence in the record in this case with respect to why any particular clinic closed.” This is very important. Alito was specific where Toti wasn’t. Alito asked Toti whether the Planned Parenthood clinic in Bryan was one of those she was counting. Toti said “Yes, Your Honor.” Alito then cited a Huffington Post news report that said that clinic was closed as a result of the 2011 Texas Women’s Health Program bill, a different law, not being considered in this case, which cut funding to family planning clinics involved in abortions. Toti said she would supply citations for those clinic closings for the record later. Justice Elena Kagan then stepped in. She began discussing the effect of the other provision of the law, the requirement that abortion clinics meet the standards of ASCs. So, where was the “evidence”? We find out the nature and source of this evidence from Donald Verrilli, the Obama administration’s solicitor general, who joined Toti in challenging HB 2. Though we do not have direct access to the formal court briefing documents, we do know who Dr. Grossman is and we do have access to the “expert testimony” of Dr. Daniel Grossman given to U.S. District Court back in August of 2014. His testimony there appears to make the same claims and use the same language to which the lawyers and justices refer. Daniel Grossman is a rising star in the abortion academic establishment, an abortionist who is an assistant clinical professor at the University of California, San Francisco (UCSF), known as America’s abortion academy. In addition to serving as a Vice President for Research at Ibis Reproductive Health, a group promoting worldwide expansion of abortion, being on the editorial board of Contraception, one of the country’s premier abortion research journals, and serving as a liaison to the Planned Parenthood National Medical Committee, Grossman also happens to be a “co-investigator” at the Texas Policy and Evaluation Project (TxPEP), a group specifically formed in the last five years to develop research to challenge pro-life laws in Texas. It is in this last capacity that Grossman and his colleagues developed the data to which the justices are referring. But Justice Alito, and later Chief Justice John Roberts, were totally on mark in questioning the claim that the law was the cause of these closures. Grossman says the decline “appears to be related to changes in State law,” which he said includes HB2. But the “changes” he spoke of also included the state’s 2011 restructuring of its funding for “family planning” services. Furthermore, Grossman admitted in his testimony that “I am not here offering any opinion on the cause of the decline in the number of abortion facilities” during that study period running from November of 2012 to April 2014. As noted above, Justice Alito pointed out that according to a news account, one of the clinics to which Toti pointed to as having closed, in fact, closed not because of HB2, but because of the earlier Texas law which cut family planning funds to abortion performing organizations. And, unlike Toti, it is notable that even Grossman, the plaintiffs’ expert, is hesitant to directly chalk all these closures up to the new admitting privileges requirement. How does he do that? Grossman takes abortion statistics he gained from anonymous phone calls made to Texas clinics over three six month periods (11/1/12 – 4/30/13, 5/1/13 – 10/31/13, 11/1/13 – 4/30/14) and compares them to official state statistics for 2012. From this he draws conclusions about trends in the number, type, and location of abortions. And from those, he projects, among other things, what he considers “capacity” for these ASCs. Grossman noted that the numbers of abortions performed at ASCs in each of this three study periods declined, from 9,378 to 8,867 to 6,786. The total of abortions fell 13% during this year and a half, from 35,415 in 11/12-4/13, to 30,800 in 11/13-4/14. However the numbers of first trimester abortions increased during that same time frame from 20,698 to 23,531. Grossman doesn’t tell us the number of ASCs in each study period in his testimony. But in news stories from the time in which reporters asked him about his data on clinics affected by the new rules, it is mentioned that there were just six in the state meeting the ASC requirement (Texas Tribune, 7/23/14). If so, and if 14,000 abortions a year is supposed to be their combined capacity, that would imply an average maximum caseload of about 2,300 per ASC (14,000 divided by 6). Verrilli tells the Court, obviously looking at Grossman’s data, that the existing ASCs performed about 20% of the abortions in the study (Grossman’s research had ASCs performing 26.4% of Texas abortions in his first six month study period and 22% in his last). Verrilli told the justices “these facilities aren’t going to be able to increase by four or five times,” which appears supported by Grossman’s claim that ASCs were at capacity in late 2013 to early 2014 and unable to handle the additional caseload other clinics picked up with the closures. However this assumes a number of things not necessarily supported by the data. For example, the most basic: Is 2,300 to 2,400 the maximum caseload of an ASC? Going back to data from Grossman’s testimony, this does not appear to be the case. In his original data tracking abortions performed in Texas between November of 2012 and April of 2014, Grossman says that ASCs performed 9,378 abortions in the first six months he studied (11/1/12-4/30/13) and nearly that many (8,867) in the six months following (5/1/14-10/31/14) the imposition of the admitting privileges requirement. Unless there were veteran abortionists who retired or significant closures of ASC abortion clinics between the first and the last of Grossman’s study periods, it would mean that the earlier results showed an average annual caseload for six clinics was closer to 3,000 than 2,300. Note, though, that an October 2015 report by Grossman and his colleagues at TxPEP admitted that the actual clinic caseloads in Texas were even higher, with clinics in major metropolitan areas reporting average annual abortions per facility at 3,744 (Austin), 4,415 (Dallas-Ft.Worth), 3,861 (Houston), and 4,428 (San Antonio). Even this is not capacity. Scott Keller, Solicitor General for Texas, told the justices that the ASC run by Planned Parenthood in Houston estimated it could perform 9,000 annually. The number of ASCs is also higher now than it was then, perhaps due to the Planned Parenthood’s building of new megaclinics. Keller pointed out that Planned Parenthood operates five ASCs in Texas and noted that there were another four ASCs operated by others and a clinic in McAllen, Texas that lower courts had exempted from that requirement! So while one might try to make the case that six compliant ASC clinics with caseloads of 2,400 each could not suddenly handle a caseload four or five times that large, that’s not the real situation in Texas. It’s much different situation of when, in fact, there are ten operational clinics with caseloads ranging from 4,000 to 9,000 a year, which should indeed be able to handle “demand” for somewhere between 60,000 and 70,000 abortions a year. This, of course, assumes that demand remains constant. Tomorrow we see that the data actually indicates otherwise: the number of abortions is decreasing nationwide as well as in Texas. Courts blocked, reinstituted that provision, then blocked it again. Wisconsin Right to Life was recently contacted about a GoFundMe page for Nick and Bonnie, who are asking for funds to travel to Chicago to get an abortion for their 20-week-old unborn child who was diagnosed with a terminal disability. Wisconsin Right to Life pushed for the passage of the Pain-Capable Unborn Child Protection Act for families just like Nick and Bonnie and their unborn child. Because we supported this law for them, we have a special message for them as written below. Please, please help us share this message in hopes that they, and families like them, will see it and receive the hope that the Pain-Capable Unborn Child Protection Act provides them. We at Wisconsin Right to Life want you to know that you are not alone, and that we want to help your family in this difficult time. You deserve to be empowered with all relevant information to your situation and you deserve extensive support. We want you to know that facing a life-limiting prenatal diagnosis is incredibly difficult, but that there is hope for your unborn child. First and foremost, we encourage you to seek out a second opinion on your prenatal diagnosis. Not all prenatal diagnoses are correct – one popular test can be incorrect up to 50% of the time in providing a positive result that a child has a disability, as the New England Center for Investigative Reporting discovered. We don’t want you to make an irreversible decision based on faulty information, because you all deserve better. Also know that there are many life-affirming options available to you. If you give your child the gift of life, no matter how short your child’s life may be, know that the Salchert family right here in Wisconsin is ready and happy to take in your child and love him or her for as long as time allows. You can learn more at www.safehaven4babies.org. If you choose to give your child the gift of life and wish to be with your child in his or her last moments, Hope After Loss is an organization more than happy to walk with you in your journey of grief and healing, and their website is www.hopeafterloss.org. Please know that both you and your unborn child deserve to be spared from the pain of abortion. Your child’s diagnosis will not detract from his or her ability to feel pain from an abortion procedure at 20 weeks post-fertilization age, nor will it spare you from the pain of prematurely losing your little one. Know that you don’t have to make this decision immediately. If you need someone to talk to in a non-judgmental and caring environment, call First Care Clinic at 608-259-1605. They are willing to listen and help you, before and after pregnancy, and whether or not you decide to abort. We are here for you and your unborn child, and the Pain-Capable Unborn Child Protection Act is here to give your family hope. P.S. Please don’t hesitate to give us a call at 414-778-5780 – we are here for you, and we are happy to listen to you and answer any questions you have. WUMW, Milwaukee’s public radio station, reported this morning that, as expected, Attorney General Brad Schimel will file an appeal to the U.S. Supreme Court by today’s deadline asking the justices to review a state law requiring abortionists to have admitting privileges at a nearby hospital in case of emergencies. As NRL News Today reported, on November 23, Wisconsin’s Act 37 was stricken by a divided panel of the 7th Circuit Court of Appeals, 2-1. By contrast, Judge Daniel Manion wrote a 25-page dissent that honed in on the weaknesses on Posner’s (and other judges’) attack on the admitting privileges requirement. I regret that today’s decision marks the latest chapter in our circuit’s continued misapplication of the Supreme Court’s abortion jurisprudence. By a majority of one, the court has eliminated a measure that Wisconsin’s elected officials have enacted to protect the health and safety of women who choose to incur an abortion. There is no question that Wisconsin’s admitting-privileges requirement furthers the legitimate, rational basis of protecting women’s health and welfare. Among other benefits, the requirement promotes continuity of care and helps to ensure that abortionists are properly credentialed and qualified. It also works in tandem with Wisconsin’s ultrasound requirement to facilitate informed decision-making on the parts of doctor and patient alike. Nor is there any indication that the requirement would pose a substantial obstacle to women’s ability to access abortion providers in their area. As Planned Parenthood’s successful applications for admitting privileges demonstrate, the hospitals of Wisconsin are perfectly willing to grant admitting privileges to qualified physicians who perform abortions in their state. Because Wisconsin’s admitting-privileges requirement has the rational basis of promoting the health and safety of pregnant women who have decided to incur an abortion, and because it does not impose an undue burden under [the 1992 Supreme Court case of] Casey, I dissent. Act 37 became law in June 2013. The admitting privileges provision was challenged in federal court by Planned Parenthood of Wisconsin, Affiliated Medical Services, and the ACLU of Wisconsin the following month. The law also provided that women seeking abortions obtain an ultrasound. That provision was never challenged in court and remains in effect. 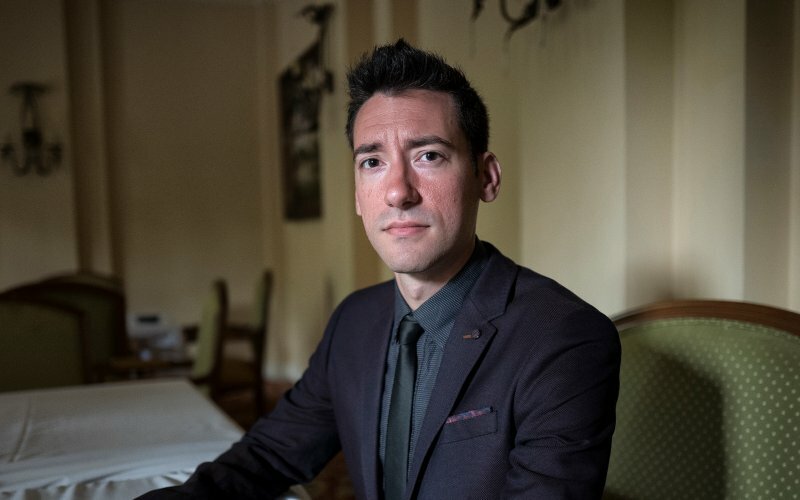 A Texas grand jury has ignored the videos exposing a Houston-based Planned Parenthood abortion clinic caught selling aborted baby body parts and has instead indicted the man behind producing the expose’ videos. The video of the Houston Planned Parenthood makes it appear the Planned Parenthood abortion business may be selling the “fully intact” bodies of unborn babies purposefully born alive and left to die. The video shows the Director of Research for Planned Parenthood Gulf Coast, Melissa Farrell, advertising the Texas Planned Parenthood branch’s track record of fetal tissue sales, including its ability to deliver fully intact aborted babies. But today, Texas grand jury indicted David Daleiden and another pro-life activist behind the videos. Instead of prosecuting Planned Parenthood for selling aborted baby parts, Daleiden was indicted for buying them. If convicted, Daleiden faces 20 years in prison while Planned Parenthood officials face no legal consequences for their actions. The grand jury’s decision comes even after state officials raided several Planned Parenthood facilities in an unprecedented move that followed on the heels of pro-life Governor Greg Abbott announcing earlier in the week that the state would further de-fund the abortion business. Before it began its work, pro-life advocates were concerned about the grand jury and undue influence by abortion activists. Harris County District Attorney Devon Anderson promised a thorough investigation of the Planned Parenthood abortion business. But a Planned Parenthood board member works as a prosecutor in the district attorney’s office. At one point in the video, Planned Parenthood staff show off the body of a 20-week old twin baby aborted and sold for parts. A recent open records request made by the Alliance Defending Freedom revealed that Planned Parenthood of Wisconsin did, in fact, donate fetal tissue to UW-Madison. “News of the baby parts exchange between Planned Parenthood and UW first broke on the ADF “Freedom Matters” podcast last Friday. The documents ADF obtained through its state records request include forms and letters from the university and its researchers clearly indicating their arrangement with Planned Parenthood to obtain the baby parts, which were used in medical research that resulted in published studies on fetal hearts and fetal brains in 2014.